Last night, the famous actress for Nilhal's role in the "Forbidden Love" series ended bachelorhood. 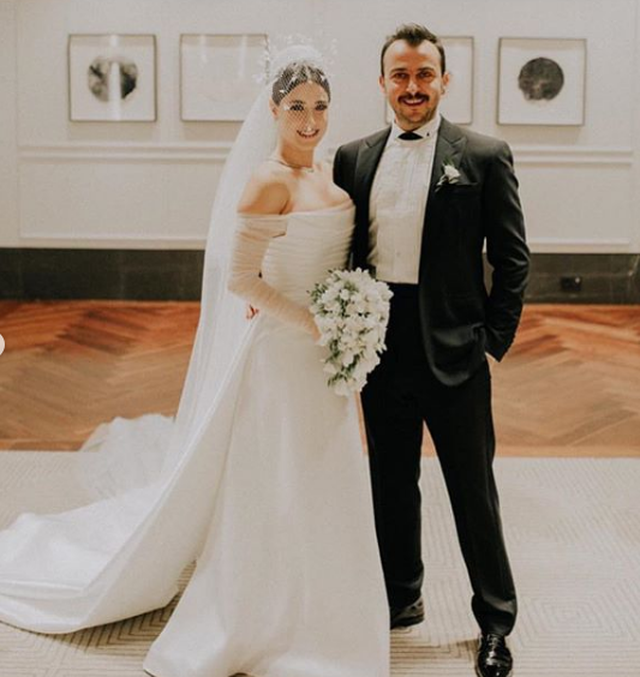 She crowned her love with actor Ali Atay at a ceremony where guests were renowned characters of the world of shoebiz in Turkey. Among the VIP guests were the actors of the "Forbidden Love" series, but Beren Saat was missing. Turkish media have announced that Beren and Hazal have no social relationship with each other and have never had. The only thing that was connected was the series and after its completion the girls did not have any contact or friendship with one another. It is not known whether something happened between them, yet Beren did not invite Hazal to her wedding that was held in 2014, while many "Forbidden Love" actors were present. Nebahat Çehre, well-known for Firdev's role in the serial, was not present at the wedding, because of an infection that caused health problems.